Senior bullion dealer Oliver Temple at Gold Investments, one of the UK’s oldest bullion houses, answers your question about the gold market. Why have gold prices fallen after Trump winning the election, I had expected them to rise? Gold prices did climb to $1,337 an ounce after the US election results before sliding back down again. This puzzled many analysts as they thought gold prices would carry on increasing. I think one of the main reasons was the Indian Government directing that 500 and 1000 rupee notes be banned. These notes were easy to forge and have until now be used to buy gold which was then sold for ‘white money’. It was a huge issue. There will probably now not be so much demand for physical gold in India, which is the largest buyer of gold after China. Investors in the US are expecting the interest rates to rise soon. A stronger economy would mean that investors feel that they are getting a better return on investments. Gold struggles to compete when interest rates rise. There is also Trump signalling that he will invest in infrastructure which should help to stimulate the US economy further. Will the Italian referendum have an effect on gold prices? Investors will be watching closely the results on Sunday in Italy. A defeat for the Italian Prime Minister Matteo Renzi on the constitutional-reform referendum could be very concerning. Mr Renzi has said he would resign if the vote does not go his way. This could lead to early elections with the possibility that the Five Star Movement wins. The party has said that it would carry out a referendum on whether the country should stay in the eurozone. Some investors are concerned that the European Union could break up as a result. Historically gold has performed well in times of economic uncertainty. Physical gold is worth purchasing because it’s mostly held by central banks and is a universal finite currency. It should be regarded as more like an insurance policy rather than something that is bought and sold quickly. 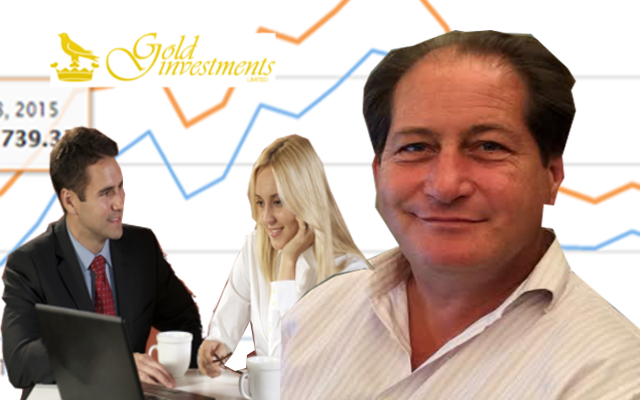 Investing in gold should be viewed as more for the medium to long term. We can store securely at our vaults which are at the London Silver Vaults, Chancery Lane. Can I invest gold in my SIPP? A number of years ago the Government introduced SIPPs SIPP or (self investment personal pensions schemes). SIPPs allow you to put different types of investments in ‘one pot’. Money is paid in before income tax is taken off. Gold could form part of your portfolio. You can find out more about SIPPs here.